In January, I was asked to choose a word for the year 2016, and I chose "inspiration." I find that there are so many ways to create and find inspiration in our everyday lives, and one great way to tap into this is by creating a holistic space! Inspiration is so important, and I want to offer insight into how creating a holistic space can help bring inspiration to your life. How can you create an environment that invokes inspiration? I hope you can use these tips to transform your home into an inspirational holistic space where you feel nourished and uplifted. I would love to hear about the ways you encourage inspiration in your holistic space! 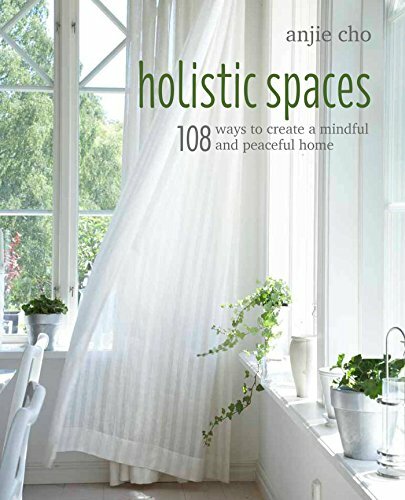 Be sure to sign up for monthly tips on green design, feng shui, holistic living and inspiration from the Holistic Spaces newsletter. You'll even get a 10% off coupon to the Holistic Spaces store for signing up! Please also feel free to reach out with any feng shui or holistic living questions you may have. You could even be featured in our Q&A Sunday series!